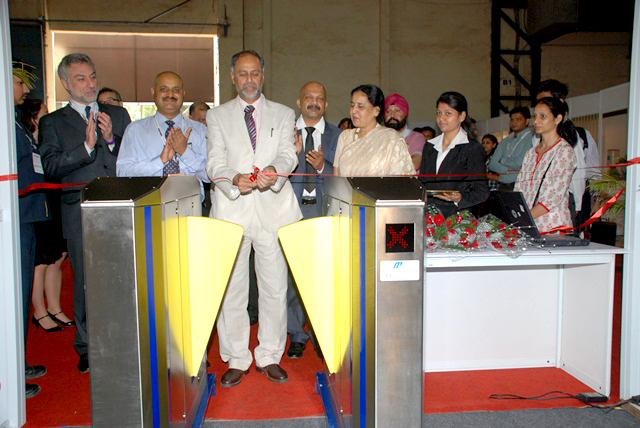 TrafficInfraTech Expo 2012 got off to a brilliant start on May 17 at Bombay Exhibition Centre, NSE Complex, Goregaon. 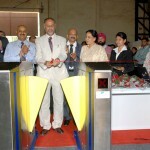 It was inaugurated by Dr Sudhir Krishna, Secretary, Ministry of Urban Development, Government of India. This is the second edition of TrafficInfraTech Expo in which 75 exhibitors from all over India and many countries are participating. The first Expo was held in Delhi last year. TrafficInfraTech Expo brought all technology, solution and product suppliers for traffic under one roof. Many decision makers of different government bodies like PRK Murthy, Chief, Transportation Division of Mumbai Metropolitan Regional Development Authority (MMRDA), Vijayalakshmi, Additional Chief (heading Metro, Monorail and UMMTA), MMRDA, Rizwan Ahmed, Special Director General of Police and Head, Traffic, Lucknow and Mahendra Jain, Deputy Superintendent of Police visited the show. Previous: Building a case for Suburban Park & Ride – Where and how much?